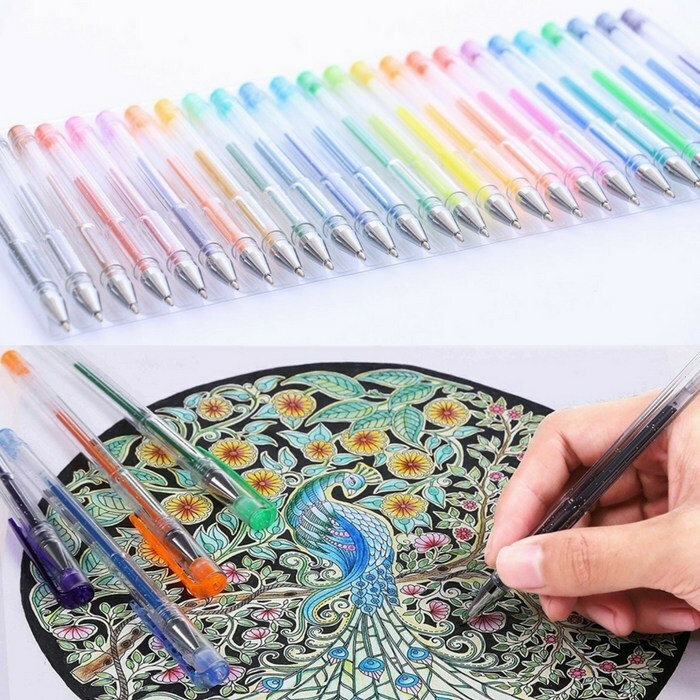 Smart Colors Gel Pens 140-Count Just $17.99! Down From $70! You are here: Home / Great Deals / Amazon Deals / Smart Colors Gel Pens 140-Count Just $17.99! Down From $70! Head over to Amazon where you can score this Smart Colors Gel Pens 140-Count for just $17.99 down from $70 PLUS FREE shipping with Amazon Prime or for orders over $25! These Gel Pens include glitter, neon, neon-glitter, swirl, metallic, pastel and standard which can be used in daily writing, marking and painting. Each series has its own specific features, plus different colors, which can cast different shades and effects on your works and motivate your creativity and imagination. This is perfect if you love drawing or coloring! PROFESSIONAL QUALITY: Non-toxic, acid-free and lead-free. Superior ink and tip (tip size :0.6–1.0mm) make the pen writing smoothly and using durable! VARIOUS COLORS:31 glitter, 27 neon-glitter, 25 metallic, 13 standard, 4 swirl, 20 pastel and 20 neon. Multiple colors become the guarantee of your perfect works! DIFFERENT USAGES:Perfect for Scrap-booking, Coloring, Journal, Nail Art, Sketching, Painting, Drawing, Writing , Tattoo & Custom Artistic Creations! Get busy with art projects or relax with an adult coloring book! CLASSIC PACKING: Pens are placed in order in a see-through box, which facilitate the color to be chosen . Could be an amazing gift for children and adults!